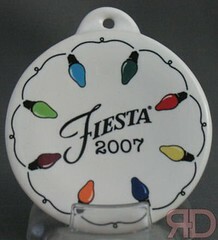 Here are some of the ornaments I am selling this year. The Peppermint and String of Lights ornaments are from the Bon-Ton stores (Bon-Ton, Bergners, Bostons, Carson Pirie Scott, Elder Beerman and Herbergers). 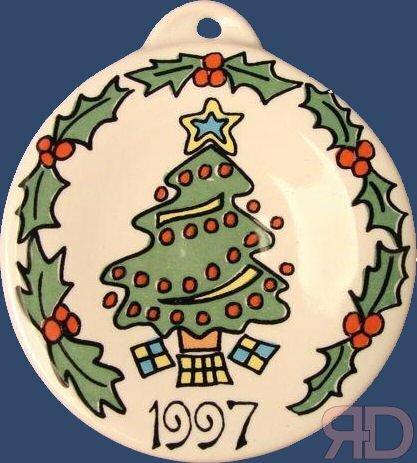 The 1997 Christmas Tree Ornament was sold by Betty Crocker. I only have 1 each of these left for sale. 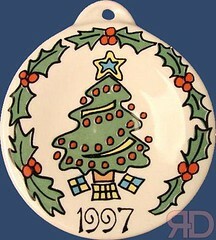 They all come in a box except for the 1997 ornament. The Peppermint Ornament is SOLD OUT! 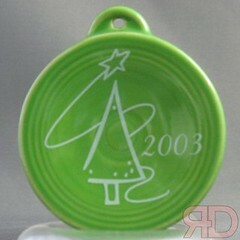 All of these items are for sale at website, RainbowDishes.com. Click on the link, or click on the links below each picture. 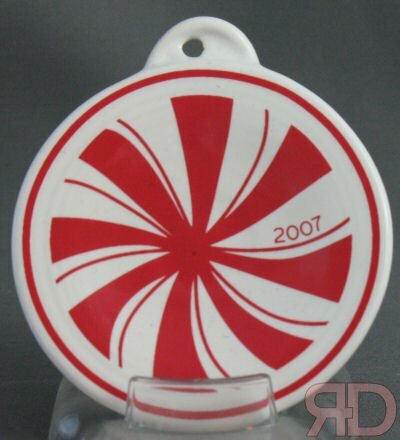 If you are looking for one of the 2008 ornaments, I can check the local stores. Let me know and I will get a availability and price quote for you.